Sanctuary was a seemingly quiet town... until the murders started happening. And what connection do the new residents have to those employed at the local bakery? 3,887 readers have visited this universe since Sirris created it. "I say to this night: 'Pass more slowly';"
◙◙◙◙ ∞ Sanctuary is a small, quaint town with a population just as small. It is known for being rather secluded from the rest of the world, surrounded by miles of forestry and mountains—not quite the vacation spot for tourism. It is, nonetheless, a beautiful place to live. Café Nova, or simply Nova, is one such attraction in Sanctuary, known for its rather spectacular pastries. It is owned and operated by Cassandra Aldric, a young woman whose dream was to open such a place. With the help of a few employees, and her father, she has managed to make that dream come true. Unfortunately, it seems that fate has other designs for her, and her staff. There have been recent murders in the small town, though no discernible cause of death has been given. The only thing these deaths have in common is that the bodies have all been found drained of their blood. Naturally, suspicion has fallen upon a group of non-locals who have made Sanctuary their home for the last two weeks. The murders started two weeks ago. But perhaps the suspicion and wariness is warranted. These non-locals aren't exactly human, after all. 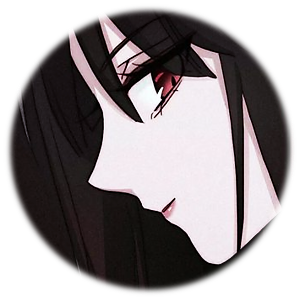 They are a group of vampires, having been sent on a reconnaissance mission to scope out why activity of a certain ghoul group have targeted such a small town. What they found wasn't what they were expecting. It has been millennia since the last Potential was spotted, but to have found four in one spot? Something is amiss, and they intend to find out what it is. It won't be easy with the town's sheriff watching their every move, but they will make do. Their lives will not be the same, and perhaps, it is here where they all find their destiny. ∞ and the dawn will come to dispel the night. Cassandra pulled the black coat a little closer to her body. It was unusually cold this morning, even for it to be on the last remnants of autumn. It didn't bother her too much; she'd always enjoyed the cold weather. She glanced to her side, noting the tired look on Lucian's face as he trailed slowly beside her. She wasn't that much shorter than him—keeping up with his strides wasn't an issue—but the look on his face had her pursing her lips together. His hair, bright rose and usually well-kept, seemed a little disheveled. If he was going for the messy tail look, he didn't have it quite down. It suited his handsome features, though, she would give him that. His eyes, usually a bright ruby color, seemed a little more on the dull side. “Luc," she called out, making her voice seem as quiet as possible as to not startle him. “Have you been getting enough sleep?" she asked, causing him to turn his attention towards her. He smiled, a bit rueful if she were being honest, and nodded his head. 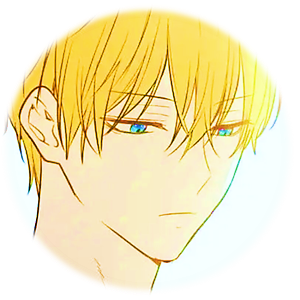 “It's not sleep that I'm lacking," he began, a soft yawn escaping him as he moved his hand to cover his mouth. “I just have a few things I need to take care of, and time seems to get away from me," he responded, earning a scowl from Cassandra. “That's the same thing as not getting enough sleep, Luc," she replied, but dropped the subject. She wasn't going to get any more information out of him—she ought to just drop the subject, now. He chuckled softly beside her, though, and yawned a bit more deeply this time. Cass resisted the urge to roll her eyes and settled for fumbling the keys in her pocket. She only lived a few blocks away, and walking to work seemed like the more plausible thing to do. Lucian lived in an apartment complex not too far from Nova, and always made it a point to walk with her. She didn't mind; it was nice walking with someone. It was also nice that he didn't feel the need to fill the silence with awkward conversation. They spoke when they wanted to, and remained silent when it was appropriate. It took them a few more minutes before they reached the establishment of Café Nova, and Cassandra unlocked the front door, pushing it open so that she could enter. Lucian was right behind her, making his way towards the back where the employee lockers were located. It was still a little early, and they had about an hour to set up shop. Darcy and the others would be arriving soon as well, to help out with the preparations. “Already prepping the coffee and espresso machine. Also got the oven preheating for the pastries," he interjected before she could finish her sentence. She smiled and shook her head. Rashid smiled, holding his hands behind his back as he trudged through the community of Sanctuary. It was a quaint town, small in a way that seemed almost boorish. And he did so enjoy the atmosphere. There were a few smells that were intriguing to him, however; a particular scent—two if he were being honest with himself—managed to catch his attention. A peculiar woman with hair as white as fresh snow, walked calmly beside a man who was, perhaps, a couple of inches taller than Rashid, himself. He had blush rose hair, tied loosely in a half-tail. He'd have found it attractive if it weren't for the scents currently occupying his senses. “My, my..." he stated to himself. He'd left the other members of the coven to their own devices. They had their orders: find the alpha ghoul and the reason why so many of them were currently situated in this particular town. They could do that and have some fun, right? With that in mind, Rashid followed the two individuals. If he had to compare their scents, he would have to say they resembled roses and lilacs, respectively. “How lovely." They'd entered a small bakery shop titled Café Nova, though the name itself was slightly strange. Did the owner intend for the shop to die in a beautiful explosion? He forgot how strangely sentimental humans could be. He's lived for nearly two millennia; his older sister lived for nearly three. He could see the shop was still closed, and instead, decided to perch himself in one of the alleyway corners. He could blend into the shadows from there and wait until the bakery opened in the next hour. A creature of habit, he supposed. "This is so boring." It was spoken in a sing-song voice that cannot be denied belong to a female. It even had a nice tone but it was followed by the sound of shattering glass upon the marble floor. "So, you wouldn't mind it if I continue to break everything here right?" The culprit was none other than the owner of that female voice who has a notable bored expression on her face. Her voice even indicated a semblance of ennui. "Are you really taking this whole ghoul mission thing seriously?" There was no response at all which only served to irate. "Hey corn hair!" This was followed by a sound of something being thrown and then the familiar shattering of glass echoed. "I want to go out now! That black bean is already out and about and I am stuck here!" Clearly, she was not pleased. "With you." It ended with a hateful sigh and then replaced quickly with a Cheshire-like smile. "Unless you want me to eat you all up." That remark held a curious joy at the end partnered with a smile indicating her willingness to do so. She was a bit hungry and the meal before her was not bad at all. It was a man with golden blonde hair which seemed to sparkle on its own paired with those unique jeweled blue eyes. His skin was flawless and a physique that is fitting for a buffed model. His features were actually much to her taste and she knew better for a fact that he could easily make anyone fall head over heels for him. The only thing that is wrong with him is his personality which brings all of his aces to a zero. It is a good thing that it doesn't affect the taste though. "Silence means yes, my dear Athanasios Croix." 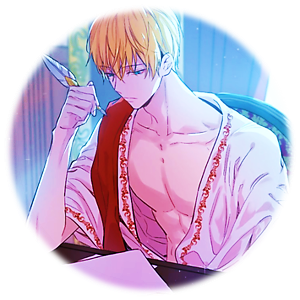 That seemed effective as Athanasios who was rather focused on writing down something while reading a bunch of paper finally raised his head and met her gaze. There was not a spark or a hint of emotion behind those jeweled blue eyes of his. It was like staring into the eyes of the dead. "That sounds fun." He said it in a monotonous manner. "Go ahead, Lady Selene le Valnosia." There was no change in his expression or rather, he looks more bored than she is. Selene flopped on to the sofa she was sitting on as she now stared at the ceiling. "You are no fun at all." Athanasios did not remove his eyes on her as he observed the only female member of this coven. 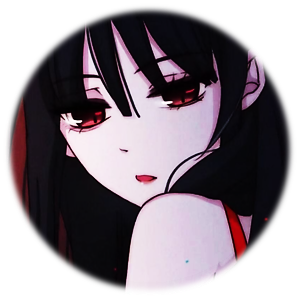 Her black hair that seemed to be darkness itself and her deep red eyes that never loses its life made quite a contrasting pair. Her skin smooth and white like that of a bisque doll. She also has an alluring body perfect for enticement. Among the women he had met, he will say that she is indeed one of the most beautiful. But, she is also proof of how the most beautiful things are very deadly. That makes Athanasios wonder why would the Council want such a dangerous creature like Selene alive and even have her be moving around. He was certain no one would miss her. But, it is not really a concern for him. He just needs to do his job and would be able to take a very long uninterrupted vacation. He was already imagining the long hours of sleep he will be having soon enough. It was making all the troublesome things an afterthought at this point. That was the seductive lure that made him accept the missions. "Finally!" Selene quickly stood from her position and had an expression that resembles a child getting that favorite treat or toy. "Hurry up!" She ran towards the doors. Athanasios remained completely unbothered by her enthusiasm. He moved at his pace while remembering the need to buy more pillows. There was a lack in his bed and he needed more. That was the main and only reason he decided to leave the room. Anyway, he finally took notice of the broken glass scattered about the floor. "A snail is way faster than you. Hurry!" She finally opened the doors when he was just four paces from her and then headed to the stairs. He on the other hand was nonchalant as always while locking the door behind him. Athanasios remembered that they would need to find proper accommodations. They were still staying at an inn but he was lazy to do that. It is best to leave that for the others. Once, he reached the stairs in which Selene was waiting below. "Forgot my wallet." Turning his back at her, she rolled her eyes while releasing a disgruntled sigh. She will never understand why he was chosen to watch over her. The Council really likes to mess around but that is the same for her. Well, he is a good emergency meal so it is tolerable. Anyway, Athanasios and Selene were finally able to leave the inn. While they were walking, she then smelled something odd in the air which made her smile. "I want to go there." She looked at her companion and pointed at a certain direction. He looked at it and found a general store. So without another word, he continued on his way to buy some pillows completely ignoring the fact that she was not pointing at the store which happened to be there. "Hey! That is not the place!" Finally entering the general store, he immediately asked the store clerk present. "Pillows, a lot please." At this point, she released a frustrated sigh and was about to destroy the general store just to bury him inside when someone placed a hand on her shoulder. "Hm?" Selene looked at the owner of the hand to find out who has the guts to touch her without permission. And, she did find out. Hair so blue like the sky. Eyes so gold like the sun. They were the token traits of the Caelum bloodline. That is why it was only natural that the current Head of the Clan, Vicentius, inherits these specific coloring which made him notable among his brethren. It also helps that his lineage has quite the reputation that cannot be ignored or be disrespected with impunity even by the Council. That kind of status truly invites questions especially when he is dispatched to a certain small and quaint town but he was not loose-lipped or good-natured to give answers that easily or willingly. All that mattered to him though right now is that he has chores to do. He is sent to this town with companions and that requires a few things to function well. Speaking of which, they were basically left to their own devices. His own device was pertaining to looking for a place that he and his colleagues could stay for a long period of time. It was rather troublesome to continue renting at an inn. It would be fine if it was just a few days but if they stayed longer it would be quite suspicious. He has an intuition that tells him that this information gathering would take more than just days. Attention would be brought upon them if they continue to be tourists in this town that has not much to offer as a prime destination. It also does not help with how they look. In any angle, they cannot be considered as an average person. This small town would certainly notice them. Thinking about his companions, Athanasios and Selene should be still at the inn while Rashid left at his own discretion. In the end, they function best on their own. Additionally, they were not kids in need of being watched over. Thinking of their ages in human capacity, they are the adults of adults or elder of elders. That thought was quite interesting as it lifted the corner of his lips ever so slightly as he walked along the streets in this rather chilly morning. He was not bothered by it. He was actually looking forward to the winter about to come. That reminded him about the place he had found where their group could settle and be particularly safe from the prying eyes of others. He had also made arrangements for them to move in. The only thing he has to consider now is the connection between him and his fellow coven members. They were too diverse in their looks to be considered as blood-related siblings or a family connected by the flesh. Well, it would be interesting to see what their opinions could be about the cover story they would be using. That was something to look forward to later. He could already imagine his companions' reactions. They are after all a collection of unique-minded individuals. That reminded him. It would be best to return with something in hand. He would need to reward the housesitters after all. As he thought of what to buy, he noticed the ever-familiar figures of Athanasios and Selene. It seemed they ventured out on their own. That means he would not need to reward them for staying still. Well, he should have not expected much especially from the Valnosia Princess. He decided to see what they were up to and from what he can see, Selene was angry with Athanasios who entered a general shop. That man has always moved to his own phase even if he is under orders. There was no changing that nature. He mentally sighed and his steps that were casual in its movement quickened. That is because he felt Selene's reaction was not going to be productive. She had always been the type to never restrain or care about repercussions as long as she does what she wants. He soon reached her as his hand landed on her shoulder. It was a gentle yet firm tap to take her attention. It was effective as she turned to look at him. "Now, Val. What brought you here?" He said with a smile. It appeared so friendly but behind it, there was an overwhelming pressure that is unseen by normal senses. "I really hope that you do not do anything too naughty." He removed his hand from her shoulder and playfully placed a finger over his lips. "We wouldn't want to be caught so early in the game after all." His words came out without a tone of oppression or intimidation. From anyone's normal point of view, he was completely amiable in relaying his statements. But to his fellow coven members, they are well-aware that truth behind his every word and gesture. She turned on her heel, peering out across the dim street. The sun hadn’t risen over the mountains yet, and a lacy mist was still settled over the town. No one was there. Of course no one was there. It was an hour before even the bakery opened, and the streets were dark and cold. No one would be out walking in this part of town. A car passed by, its headlights bathing the street in a yellow glow, making the mist seem even thicker. She still didn’t see anyone. Something just felt... off? She shrugged and shivered, but whether it was from the cold or something else, she didn’t know. She turned again and flung the door to the cafe open, sighing in the warmth. ”Helloooo Lucian, g’mornin boss!” She called out, waving to Lucian and Cassandra. She strode to the back and set her things down, not bothering to put them in a locker, and slipped on the rough, canvas, black and yellow striped apron she wore during work hours and grabbed a broom to sweep the front. She stopped in the kitchen and smiled at the two. They were, without a doubt, beautiful. They looked a little more like they belonged on a runway than a cafe. Well. Cassandra did. Lucian gave Darcy a rueful smile, but shook his head. “Yeah, I'm fine," he replied, reaching inside of the cooler by the counter, and pulled a bottle of water from it. He twisted the top off, took a drink, and sighed softly. He really did need to get a good night's sleep. All the research he'd been doing last night wasn't bringing him any closer to the answers he wanted. But of course he couldn't share this with his employer nor his coworker. This was something he had to do, and no one else. “Though I wouldn't mind any help with the counter. If you man the register today, I can take care of the cleaning and orders," he stated, glancing in Darcy's direction. Cassandra made a soft huffing noise, like she'd found something amusing, however; Lucian raised a brow in her direction. “What's so funny?" he asked in a curious manner. There weren't many things, he'd learned, in the shop that were in any form, amusing. Cass glanced in his direction and rolled her eyes. “I wasn't amused; it's not amusing when you're out of sugar," she responded, giving him a flat stare. It was his turn to roll his eyes, and shook his head. “Hey, Darcy?" Cass called out, glancing in Darcy's direction. “Can you watch the store with Luc? I need to make a quick run to dad's," she spoke, causing a ghost of a smile to cross Lucian's face. She spoke of her own father as if he was their father too. It was like her to think of it as a small family, but he supposed he didn't mind. “And Luc, behave yourself while I'm gone, okay?" She didn't have to tell him that. Rashid watched as the snow-haired woman exited the café, and head in the direction he knew his roommates to be in. It wasn't hard to know they'd left the inn when he had trackers on them. But he supposed that was just a byproduct of his abilities. It was mainly the reason the Council assigned him as part of the group. Each individual, different as they were, were all under the Council's watchful eye. Especially the le Valnosia woman. She was believed to be a dangerous entity, sentenced to eternal slumber for her crimes, but Rashid didn't really care much about that. He was, by far, the oldest member of the coven, and whatever deeds or crimes she, or the others, committed, were none of his business. As long as they received results for their mission, that's all that mattered to him. So, he allowed his feet to carry him in the direction of the café, and entered the shop with a bit of confused smile. The pink-haired man Rashid saw earlier, was no where to be seen, however; he spotted a peculiar woman behind the counter. Dark-haired, fair-skinned, and grey-eyed. She couldn't have been younger than twenty, but the sort of youth she exude was one of someone who'd seen her fair share of hard work. Rashid supposed he could appreciate that kind of fulfillment in a human. He'd, after all, forgotten what it actually felt like to work. So many years have been lost to him, but he wasn't going to complain. He had nothing but time, and he would go at his own pace to live a fulfilled life. “Hello Miss," he greeted, smiling in a way that made him not as threatening as he could be. He wasn't here to scare anyone, after all. He just wanted to know why she, and the other two people he'd seen, smelled so... nice. Maybe it was something in the water around here? The chiming of the bell in the General Store signaled the arrival of a new person. If Selene and Vicentius looked, they would have noticed a young woman with snow-like hair, enter the building. She seemed lost in thought since her lips were pursed thinly and her brows were furrowed. It looked like she was chewing the bottom of her lip in a thoughtful manner, but when she glanced in their direction, she blinked in mild surprise. “Oh, did you need help with anything? I'm sure Mr. Aldric would be more than willing to help you if you did," she stated, smiling in their direction. A throat being cleared, however, managed to catch her attention. “You know you're not supposed to help when you've your own business to run, Cassandra," the newcomer spoke. He was older, perhaps in his early sixties from the looks of him, but he wore a gentle smile in Cassandra's presence. She chuckled softly and shook her head. “You've customers to attend to, dad. I'll go make myself un-useful elsewhere," she stated, placing a hand on his shoulder before turning away. Mr. Aldric, however, turned towards Selene and Vicentius, grey eyes narrowed, and tilted his head as if he were trying to study both of them. “Is there something I can help you with?" Selene looked over her shoulder and her eyes held a distinct notion of disgust and irritation. She hated people telling her what to do or not to do. It is tripled when the person saying it was someone she doesn't like at all. All of those negatives concentrated into one entity whose name was Vicentius Caelum. "You want to die don't you Blue Boy?" Her voice did not hide her irritation. Her expression also did not hide her disdain. She was well acquainted with his Clan. They were an annoying bunch. VERY MUCH. "Never touch me." Selene was not going to end it with just words as tendrils of black slowly came out of her fingers. BUT. This was immediately stopped when a scent entered through the store without any ceremony. It quickly took her attention which was followed by a voice. The scent apparently came from a snow-white haired woman, a clear contrast to her night black hair. Her eyes narrowed in curiosity and slowly the corner of lips lifted. It seemed this town was not a lost cause. Moreover, the odd scent she picked up was the same as this newcomer girl. Completely forgetting Vicentius at the moment, Selene moved forward to reach for the snow-white haired girl. But, she was blocked by the appearance of an old man. She could care less about the store. She was more interested in that girl with a peculiar scent. "Get---." "Do you have hypoallergenic pillows?" Timely or perhaps a coincidence, Athanasios entered the conversation. His eyes did not even look at Selene or Vicentius. He was focused on the fact of his pillows. He needed to ensure having a good sleep. Frankly, that is really what matters to him in the end. The rest is just other matters that can be dealt with once he is done with his sleeping affairs. "Scented candles too." Athanasios' face was completely at ease and despite being Selene's guardian who seemed willing to get herself into trouble at every turn, he was more concerned about ensuring he would have a good sleep. "I couldn't find any on the displays." It was at that point he lifted his gaze and saw his so-called ward and Vicentius. There was not a sparkle though in his jeweled blue eyes. "Did you find anything you like? and Hello Vic." That was also when Athanasios finally took heed of his surroundings. 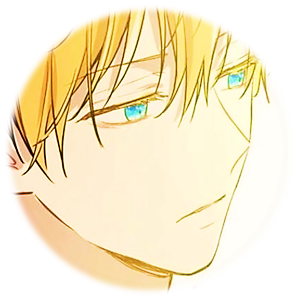 When he is focused on sleeping, he does not care for those around him, so it was only when he noticed a lingering scent that entices. "Something smell nice." He followed his nose and noticed a white-haired girl. "You should wear that perfume, Val." Athanasios noted nonchalantly while Selene could only release another frustrated sigh. She was surrounded by idiots. If it was like this, she would have not minded sleeping for eternal. The standard of what is being a Vampire has surely dropped in her slumber. "You are impossible! Stop your shopping and be useful! Take that girl!" She angrily spatted at him who was still nonchalant as ever. "This is important more than that scent. If you want, you should ask her where she buys her perfume." This was really impossible. The Council must have wanted to punish her with sheer annoyance. "Idiot. You are really an idiot." She could only cover her face in embarrassment for being acquainted with him while this was followed by laughter. Darcy laughed a little when Lucian realized he had no sugar. A little. “What can we start making without it?” she asked before she heard the door to the front open. She turned around quickly, thinking it was Cass again. ”Ah, hey there, yo-“ she stopped. Hoooooo boy that was a surprise. He was certainly something. She worked with some damn attractive people, but she was used to that. This guy was new. And he also looked like a model. A model with some nice pecs. 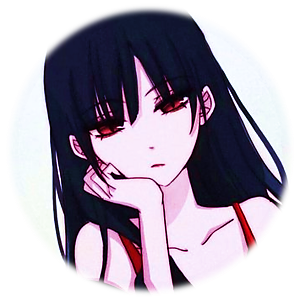 “Hey there, we’re uhhh... we’re still opening up, is there anything you need, Mr...?” She regained her composure before she started drooling. Or asked if he had any friends she could meet. “Rashid, but if it's easier on your tongue, you may call me Ras," he replied just as smoothly. He was still smiling at Darcy when he glanced towards the menu located behind her. He seemed to be reading what they had available as far as drinks went, and settled on something. “If it's not too much, I'd like a latte," he replied as his eyes narrowed with his smile. He glanced at the case where all of the premade pastries were, and his eyes widened slightly. “Is that a blueberry tart? May I have that as well?" he asked, pointing inside of the case. Darcy looked back at Lucian, thought about it, and shrugged. “Course, let me just get the coffee machine turned on and warmed up, Mr.... er... Ras,” she said. It wasn’t exactly conventional to serve customers this early, but they were set up well enough, and he didn’t seem to be expecting their freshest of goods. Also he was hot. “What are you driving around... um. Walking around here this early in the morning for, sir?” she asked, noticing that she couldn’t see a car parked in front of the building that he would have come from. A little odd, and he wasn’t sweating or anything, so he wasn’t on a run... probably? Actually, now that she looked at him, there was something noticeably odd about him. She put the mug under the espresso machine and looked back at him, trying to figure out what was wrong... just in time to have hot espresso drip directly onto her hand. She pulled it back, managing to only whisper a string of expletives, and promptly forgot what she had been thinking about. “Ow. Ow. Sorry, this doesn’t usually happen. Uhhh...” She looked back at Lucian, rubbing her hand and flicking off the machine. “Hey Luc, can you grab a latte for our friend here?” She smiled at him, instead grabbing his pastry from beneath the counter with her good hand. Vicentius was not ignorant of Selene's malevolence towards him. He is quite aware of the grudge that had been staked towards his clan. He will not be spared from that especially when he is in the middle of it after all. He would just take it in stride though. The only thing that he cannot set aside is the tendency of this so-called villainous woman to do whatever she wishes without care for the results it could have. He could already see how prepped she is to display how much different she is from the humans living here without knowledge of their kind. "Val, st-." He stopped midsentence because a scent entered the store. His golden eyes landed on a woman with hair like snow. He wasn't able to respond with the white-haired girl's question. Instead, he was analyzing that scent which was originating from her. Unlike him who just stay still when accosted with something unknown, Selene was not the same at all. She was ready to pounce on the elderly man who in her mind was an obstacle to find out the reason for the scent. It was a good thing Athanasios intervened whether that was intentional or not, the guy was on the dot. But, it seemed Athanasios was not particularly bothered by the scent unlike him and Selene is. "Is he immune?" All Athanasios cared for were pillows and some scented candles but that was to be expected. After airing the concern with the storekeeper it seems, he finally noticed them. "Yes, Good morning Cross." Vicentius felt all the tension just washed away. It also seemed that his prior guess about the guy being immune was not entirely true. That is because Athanasios asked about it in a more openly way. The guy really is not really fitting for stealth missions that one is for certain. He even prodded Selene with a suggestion. Then, an entertaining exchange happened between the two. Vicentius could not help but laugh. He covered his mouth to stifle its volume but the pair does have a future as a comedy routine in the future. "My apologies." He managed to squeeze out once his mirth settled down. He then looked at the storekeeper. "I am sorry about this as well good sir. My family is a bit rowdy. I hope you excuse them. Ah, can you get what my dear brother Cross here wants and possibly add some candies for our rather ill-tempered princess." He smiled at the old man and then cast a glance at the snow-white haired lady and if she looks, he would offer a polite smile. Cassandra was not deaf; she could hear the strangers in her father's store talking about her. The only thing she didn't understand was the smelling nice schtik. Subconsciously, she took a deep breath, inhaling the scents around her. She couldn't smell herself, but there wasn't anything that smelled particularly nice—not even the scented candles that her father kept. Pushing the thought from her mind, she smiled idly as her father dealt with the strangers. “No need to apologize," he spoke, offering the family a smooth smile. It was a strained smile, but she knew her father meant well. He just wasn't particularly good at expressing his more genteel side. “I will have one of the others bring you your desired items. If you'll excuse me," he continued, his eyes narrowing in a suspicious manner before taking his leave. 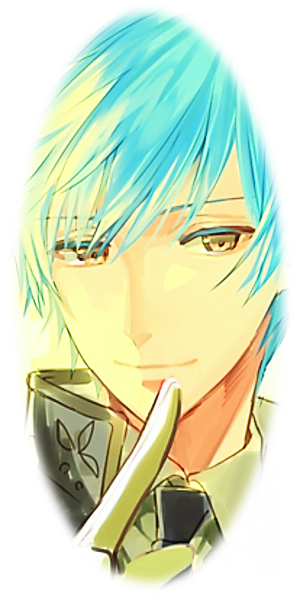 He made his way towards Cassandra, her eyes meeting the pale-blue haired man for a moment. He smiled politely towards her, and Cassandra responded in kind. It was the polite thing to do, and there was nothing awkward about it. “Cassie," her father stated, causing her smile to broaden at him. “You don't have another shipment until later this week; what brings you here so early?" he asked. Her brows furrowed slightly as her lips pursed slightly. “I ran out of sugar. I need at least a twenty five pound bag to last me until the next shipment. I figured I'd just come pick it up, now," she replied, hearing a soft sigh escaping his lips. “I can come back later if it's an inconvenient time," she stated, allowing her eyes to drift back to the strangers. They were really nice-looking. She wouldn't go so far as to say attractive; Cass had her own ideas of what was considered attractive. It was probably the reason why people often looked at her strangely when she voiced such things, which was why she wasn't going to do that now. “Wait here while I go get you the bag," he finally spoke, bringing Cass's attention back to him. She smiled brightly at him. “I'm not going anywhere." She wanted to browse the aisle's to see what was new. Lucian narrowed his eyes with concern. “Are you alright, Darcy?" he asked, coming around the corner. “Let me see your hand before you do anything else. Can you give us just a moment?" he asked the Rashid. Rashid, eyes slightly wide, nodded his head. “Of course. The young lady is injured and must be tended to. I can wait," he replied. She wasn't bleeding, but the burn was enough to make a small welt on her hand. Rashid was almost tempted to see if he could make it bleed, however; he could bide his time. Perhaps he could find a way to get a sample from her, and the pink-haired man. There was something familiar about this Lucian character, but Rashid had never taken it upon himself to remember faces. Only if they were of some use to him one way or another. Lucian's concern seemed genuine enough as he examined Darcy's hand. Sighing through his nose, he released her hand after his inspection and stared through pursed lips. “You should be more careful, Darc. That could have been a seriously bad burn for you. Go rinse it under cold water for now so that it doesn't swell too much." Athanasios was entirely indifferent from Selene's tantrums or Vicentius' laughter. The thing that rang to him is the description of 'BROTHER'. He was called Vicentius' brother which is rather odd. They do not remotely look alike even a little when it comes to physical traits. But, it was the word given to humans in this shop. That means he just needs to go with the flow. As to how they became related, he would leave that to Vicentius. That is not his concern. "Thank you." Athanasios said after the elder man answered that the items he asked would be given. That was a priority that is complied with and so his focus drifted to another issue. It was the scent that seemed to beholden his peers especially Selene. It was an enticing scent but his attention was on another matter. For now, it would just be a fleeting notion he set aside. "Vic." Athanasios called and then pointed at the pile of stuff that he got from the store. Once he has Vicentius' attention, he pointed at it with his usual blank face. "Pay for it, Big Brother." In his calm and deadpan voice, he declared it without hesitation. He did bring his wallet but there was no money. Selene sighed hearing that response. She has no idea why this guy was assigned to her. She did not join the conversation between the two or did she care about the shenanigan of them being brothers or family. That was not her concern and instead focused her attention on the white-haired girl that has a peculiar scent. In her memory, she can assume a few things about what it means and the reasons were the one that made her awfully curious. Her vermillion red eyes darkened which reflected her interest. She made her way towards the girl but before she could take a second step, another hand touched her this time, holding her hand as if it was the most normal thing. "Hey---. Huh? What are you doing?" The one holding Selene's hand was Athanasios. It was not revolting as it was with Vicentius but they were not that close for such gestures but what came out of his lips was more surprising. "I can't leave my twin alone." The word TWIN replayed inside her head, over and over again. She was clearly stupefied by that statement but the one who said was completely calm like it made sense when it really does not. "You really are an idiot!" Selene tried to take back her hand but Athanasios would not budge at all. He was like a wall that she cannot help but click her tongue. "Are you not even curious? Even a bit?" She reasoned out. She was certain that he knew what she was about to do. Despite the guy being someone she can never understand, the guy does his job rather well which was a wonder. "That is why we are here. But." His hold tightened and she cannot help but look at him with a serious gaze. "I am hungry. I want cake." Selene felt the blood in her head boiling and then it exploded as she hit Athanasios' head in anger with her free hand. "Don't make that face you SWEET TOOTH MONSTER!" Athanasios remained indifferent in his expression even when a bump was starting to form on his head. Selene's strength is still something after all. "If you want to eat! Eat, don't involve me! Find some cafe or something." She said loudly while taking back her hand forcefully. It was truly a rowdy morning inside the General Store. "Let me go!" He remained completely calm as he then patted her head like a child nonchalantly with his free hand while not letting her go. "Eat first, okay?" She finally stopped and bit her lower lip as silence descended. "....Fine. Where are we eating..."
Athanasios finally looked at the white-haired girl's direction. "Where is your shop?" He was calm as always. Use your INK to craft new artifacts in Of Blood and Pastries. Once created, Items cannot be changed, but they can be bought and sold in the marketplace.